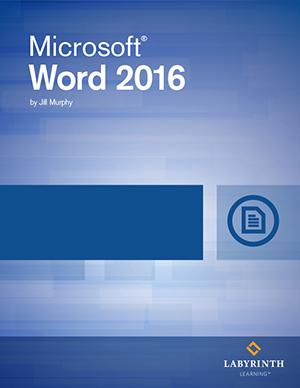 Microsoft Word 2016 Level 1: This introductory course book will equip new students with an overview of Word basics, providing a beginner level foundation of the application. Students will be engaged with hands on learning as they apply learned concepts to create relevant, mock work examples such as a brochure, resume table and more. DELIVERY OPTION: This is the digital ebook only. Does not include a printed text book.